This post is based on my latest article for SFist in which I eat my way around the Bay Area in alphabetical order. Today it's Just for U. Or rather, Just for You. 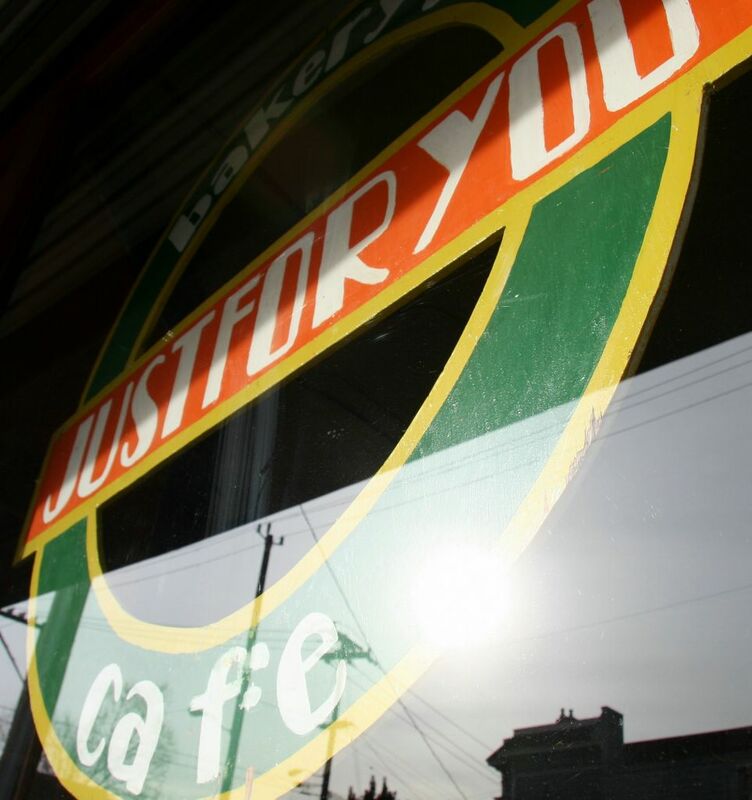 Or more precisely, Mabel's Just For You Cafe, and to be quite honest, I'd rather it was Mabel's Just for Me Cafe, so Fred and I would always be guaranteed a spot at this busy, off-the beaten track little cafe nestled in Dog Patch at the bottom of Potrero Hill. But I must confess, on Sundays when the pair of us are at our most lazy, we can only just manage to drag our arses down to Mabel's just before it closes at 3pm. By that time, the more spritely brunchtime crowds are usually thinning out and we don't have to wait a second before being seated and served. Mabel's is just a simple little cafe with a counter for singles overlooking the busy open kitchen and lots of wooden tables scattered around the L-shaped room. There are even a couple of prime spots outside if you can manage to snag one of them on more temperate days. I really love the staff here. They make you feel welcome, whatever your style. The clientelle, usually more varied than Mabel's wide-ranging weekend menu, might include a middle aged woman with spikey green and red hair, a shy and clingy young couple perhaps celebrating their first breakfast after the night before or another pair, all squeaky clean and sportily dressed, who've arrived straight from exercising their right to eat home fries. On other occasions you might just find us . But if you think that sounds good, and before you get too carried away with the sausage, request something soft on which to lay your bed-head. The Just for You special order of three wonderful beignets arrive as piping hot, golden little pillows of soft, springy dough, dredged in pure and virginal white powdered sugar. Contrary to appearance, the beignet themselves are not that sweet at all, so the blanket of sugary dust doesn't go to waste. Now that Mabel's has become such a little favourite with us, it's hard to believe that after our very first visit I almost vowed never to return again. On that occasion they royally messed up my favourite Eggs benedict by perching them on a slice of toast. Call me a purist if you will, but there is something quite wrong about finding a slice of bread where an English Muffin would do a far better job. Paired with a bowl of innocuous grits, I might have thought Mabel was off her trolley if she hadn't pre-warned me that grits are pasty white stuff… like you had in prison. Next time I'll heed her wise words and steer clear of the grits. And anyway, such honesty has to be forgiven, especially when it is washed down with a pint of mimosa made with fresh juice. Yes you read it right, - they serve the champagne and orange sparkler in a PINT glass. I can't argue with that, and I often don't, on Sunday afternoons, sometimes, just before three. PS. You can even buy the house-baked bread to take home. 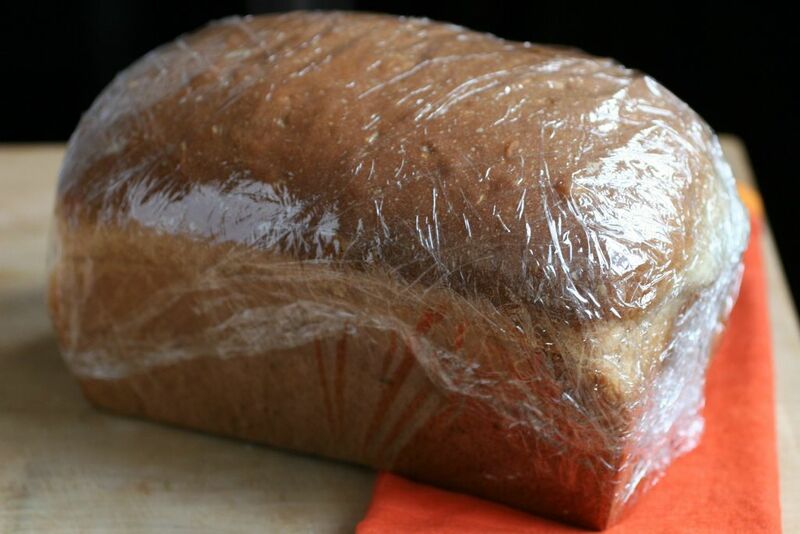 The $3.50 loaves contain no preservatives so it's a good idea to slice it and then freeze ready for toasting. Yum! PS Blogger will be having an outage tonight between 7 and 8pm PST at which time this blog will be unavailable. Counting Weightwatcher's Points and a Superbowl Party do not good partners make. Archive Alert! On this date in 2005: Paper Chef Winner - Very Posh Cheese & Biscuits. ohh that sounds so good... eggs and a mimosa in the morning!!! Another word for grits: Polenta! great post, as i think you saw in one of my recent posts eggs are my favourite food of all! micky - polenta is yellow in my book - Mabel's stuff is somehow white? Gastrochick - I am with you - so much to be done with an egg! Beastlysum - get the idea out of your head, and get the mimosa down you gullet instead!!!!! is that the same place that used to be in potrero hill? 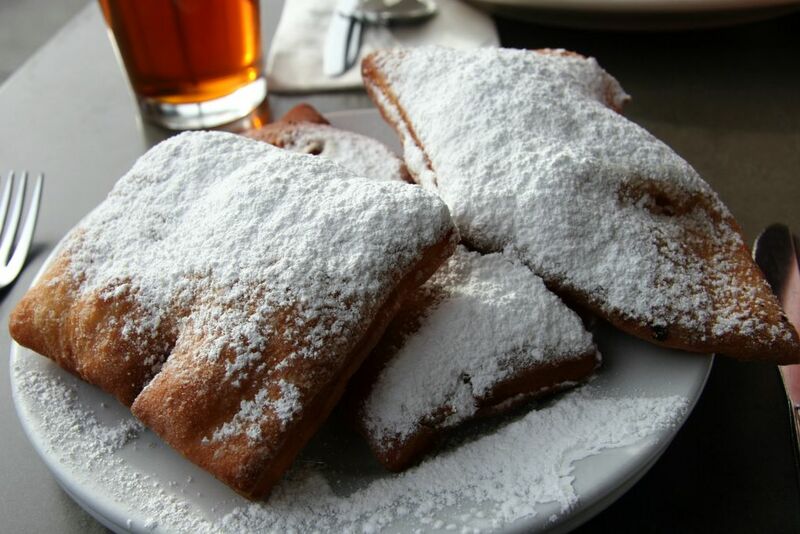 beignets, yum. yes - it moved. Are beignets vegan? Could well be.